Keep track of your home and belongings no matter where you are! 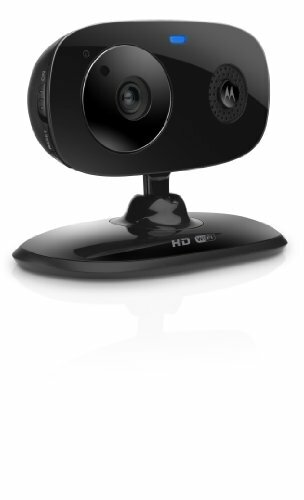 The Motorola Wi-Fi HD Home Monitoring Camera System lets you monitor your home through your smartphone, tablet or computer, using Wi-Fi connectivity and the Hubble app. The system itself features remote digital zoom, motion alert, and motion-triggered recording, ensuring that your personal space is as secure as it can possibly be. Infrared night vision allows you to check on your home even during the night, and with easy installation, this camera system is perfect for homeowners and small business.